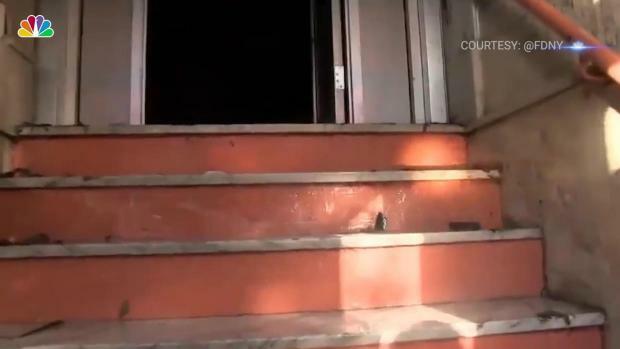 A 58-year-old woman, her 7-month-old granddaughter, a mother and her 2- and 7-year-old daughters were among the 12 people who died when a fast-moving fire caused by a child playing with a stove engulfed their Bronx apartment building in a matter of minutes Thursday, relatives of the dead say. On Friday, police and relatives identified five of the victims as: 2- and 7-year-old Kylie and Charmela Francis, and their 37-year-old mother Karen Francis; 19-year-old Shantay Young; and 58-year-old Maria Batiz. On Saturday, police identified the remaining seven victims as: 7-month-old Amora Batiz; 48-year-old Gabriel Yaw Sarkookie; 28-year-old Emmanuel Mensah; 54-year-old Justice Opoku; 17-year-old Hannah Donkor; 49-year-old Solomon Donkor; and William Donkor. 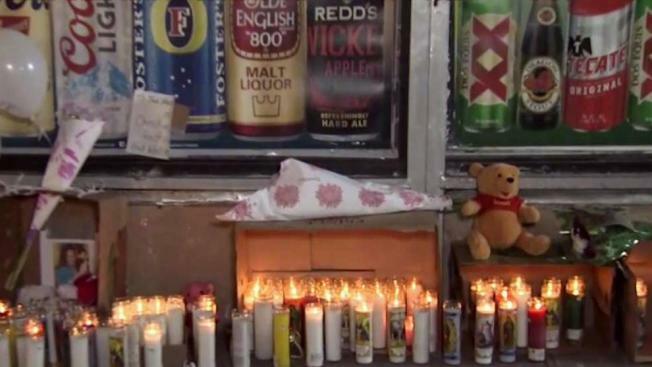 A relative at the scene shared photos with News 4 of the Francis children, one just a wide-eyed toddler sipping from a bottle, the other a young girl with a black leather jacket and hot pink pants. 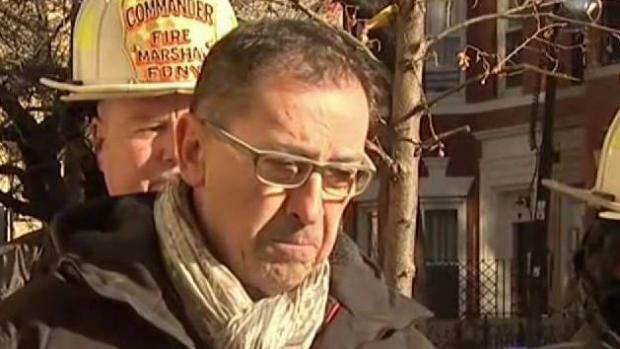 Witnesses and survivors describe the frantic minutes after a fire broke out in the Bronx. Lori Bordonaro reports. The shocked brother of Maria Batiz also identified her as another one of the fatalities. "I didn't believe it," said Fernando Batiz. "I had to come down here and see for myself." A baby girl seen in a photo next to a smiling Batiz is also among the dead, Fernando said. He didn't identify the baby by name, but the Daily News reports she was Batiz's granddaughter, and that the two were found dead in a bathtub where the older woman had desperately tried to shield them. Five of the other victims were pronounced dead at the scene: a 7-month-old baby girl, a 63-year-old woman and three adult men, according to police. Meanwhile, four people remain in critical condition, fighting for their lives, after the fire, according to Mayor de Blasio. A dozen others were rescued from the fire with varying injuries but were expected to survive. A 28-year-old soldier who'd been missing since the fire, Emmanuel Mensah, was among the victim's whose names were released Saturday. He had been desperately sought by family and friends and was last seen heading back into the flames to help save others. A child playing with burners on a stove sparked a killer blaze in the Bronx Thursday, authorities said. Katherine Creag reports. "We know that there are four in critical condition," said family friend Eunice Reed at the time. "We are hoping that it's him, one of them is him." 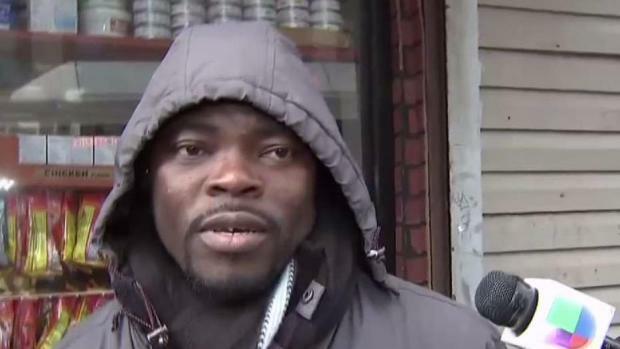 Mensah's father spent the day walking up and down the street, showing his photo to passersby, hoping someone could tell him where he is, The Daily News reported. Neighbor Nestor Torres said he was searching for a few people he knows in the bulding. "I called some phones, no one answered," he said. "I called about three persons and no one answered." "Went to work, he's not there. The building is gone," he said. Authorities said the flames broke out on the first floor of the building and quickly spread up through the five-story, 25-unit structure. Authorities said Friday that a small child playing with a stove in his first-floor kitchen appears to have sparked the blaze, which is the city's deadliest residential fire in decades. Bronx neighbor Juan Sanchez didn't know anyone who died, but felt compelled to bring flowers and write a note Friday. "May the 12 souls already be in heaven," he said. And at vigil later that evening, dozens of community members turned out to mourn and support the families of those who were lost. Several online fundraisers have also been set up for the families of those who perished in the flames. On Saturday, police received so many donations for the two dozen families affected by the blaze, that they called off their donation drive early, saying they had enough for 1,000 families.